Fences are a relatively new addition to the U.S.’s 1,954-mile boundary with Mexico. Congress passed the first major immigration restrictions in 1882, barring Chinese laborers from entering the U.S. Knowing they’d be turned back at official ports of entry, Chinese migrants began slipping over the southwestern border, sometimes learning a few words of Spanish so they could pass as Mexican. Congress created the Border Patrol in 1924 primarily to crack down on Chinese immigration and to stem the flow of illegal alcohol under Prohibition. Most of the illicit booze came through Canada, so the majority of early border agents were sent north. The southern border was lightly patrolled by a few hundred officers on horseback. Aside from a handful of private fences built during the Mexican Revolution of the 1910s, the boundary remained largely unfortified. Because of a surge in Mexican immigration. During World War II, a temporary guest worker program was created to send Mexican laborers to manpower-starved American farms, and over the next 22 years some 5 million braceros would work in the U.S. That program ended in 1964, but the demand for cheap Mexican laborers did not. And when the Mexican economy slumped in the 1970s and early ’80s, millions headed north without papers. By 1986, an estimated 3.2 million undocumented immigrants were living in the U.S., up from 540,000 in 1969. The War on Drugs, launched by President Richard Nixon in 1971, also focused attention on the southern border, which would become the main conduit for cocaine and marijuana. 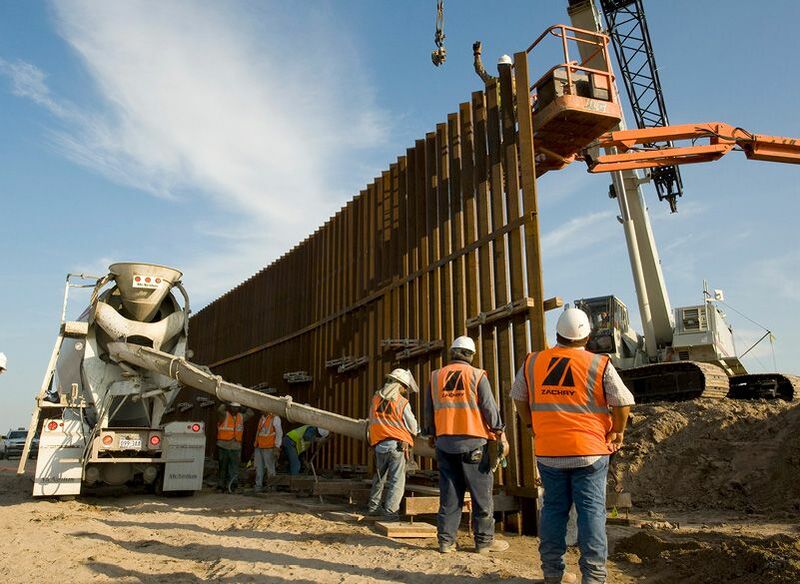 President Jimmy Carter’s administration proposed the construction of a fence along the most heavily trafficked parts of the border in 1979, but scrapped the idea following a backlash at home and in Mexico. “You don’t build a 9-foot fence along the border between two friendly nations,” Carter’s Republican rival, Ronald Reagan, said during the 1980 election. Still, Reagan would tighten border security as president. But rather than build physical barriers, he supported the passage of the 1986 Immigration Reform and Control Act, which boosted the Border Patrol’s staff by 50 percent—to 5,000 personnel—and equipped agents with night-vision goggles, new helicopters, and high-tech surveillance systems. The law also provided amnesty and legal status to some 2.7 million undocumented immigrants.